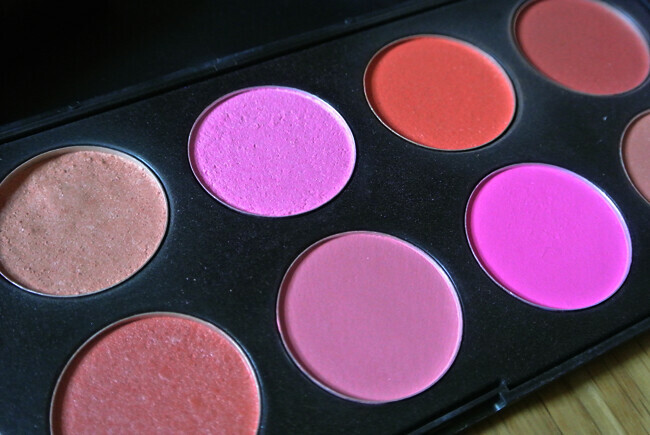 I've had this blush palette in my collection for ages now and i still love it just as much as when i first bought it. 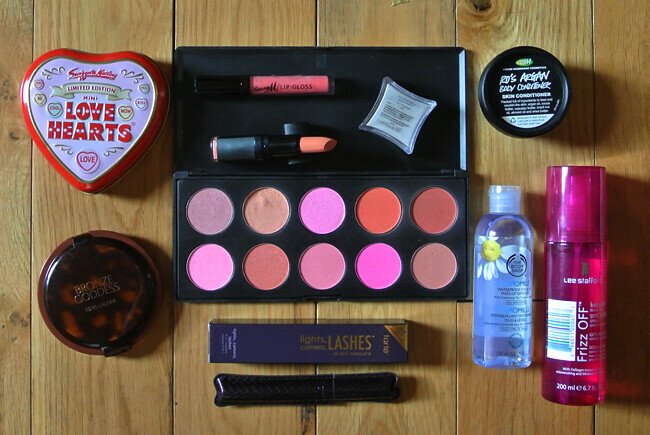 It's one of those products which i always go back to because it's just so versatile. You have a mixture of shimmer, matte and every shade is suitable to any kind of look you're rocking. I highly recommend this palette, and what's even better is the tiny price tag of £3.99. 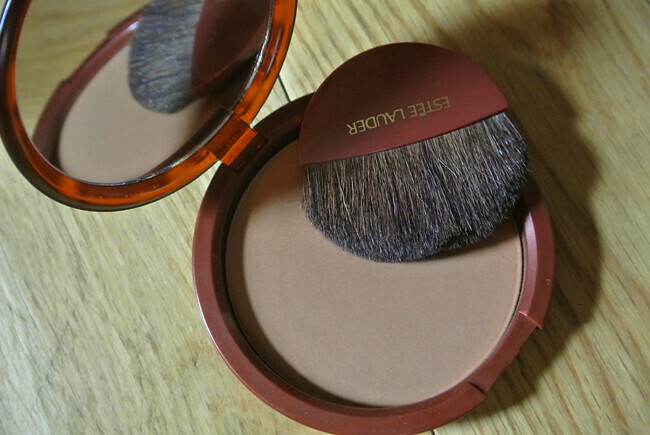 For the past year or so I've been reaching for my Chanel Tan De Soleil as my every day bronzer which i think is brilliant. But after trying out Estee Lauder Bronze Goddess it's become my new favourite, you've probably hard a lot about it already but it's light oil free texture creates a natural glow without being over powering. I've been using this with my body shop BB cream from last months favourites and it works beautifully, it gives me such a natural look which has been mistaken for a holiday tan. Love love love! 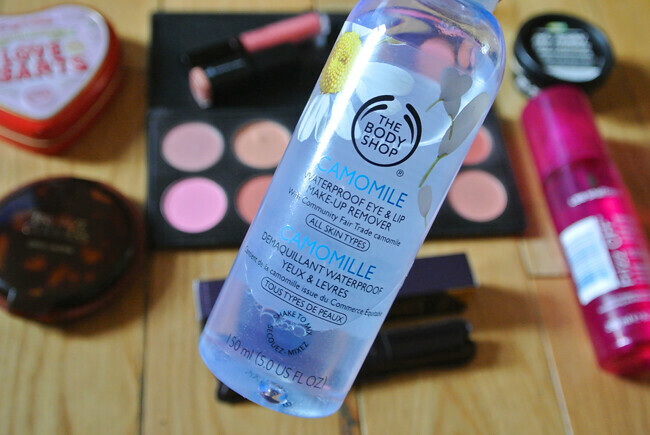 Oh my, girls you need this Camomile Waterproof Make Up Remover from The Body Shop. It is incredible! I swear by Liz Earle Cleanse & Polish and although that product is worth the hype, this one from TBS is just something else. It takes off all my make up off within minutes, it's so quick and easy to use and it removes everything. It leaves my skin feeling hydrated as well, not drying like some products I've tried. I do find i use quite a bit when i use it though, so it may not last that long. But it really is brilliant and i urge everyone to get their paws on it! 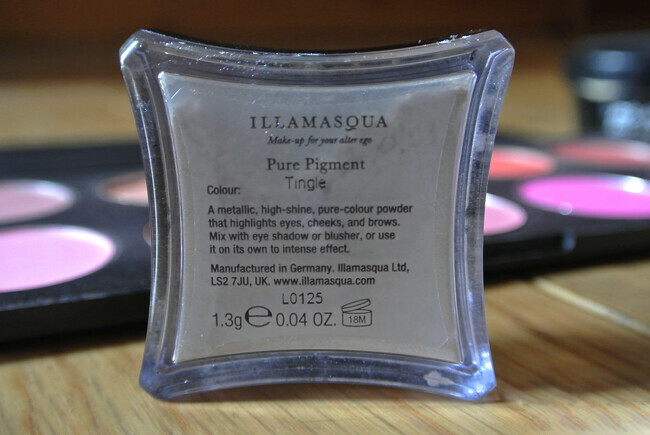 Tingle (which i think is now static) pigment by Illamsaqua has been a lovely product I've been using on the inner corner of my eyes this month. I like to put it on top of NYX Milk as it really opens up my eyes. It's very fiddly to use as it is a very fine pigment and the tinest amount goes a long way, but i feel like it's made such a difference to how my eyes look. 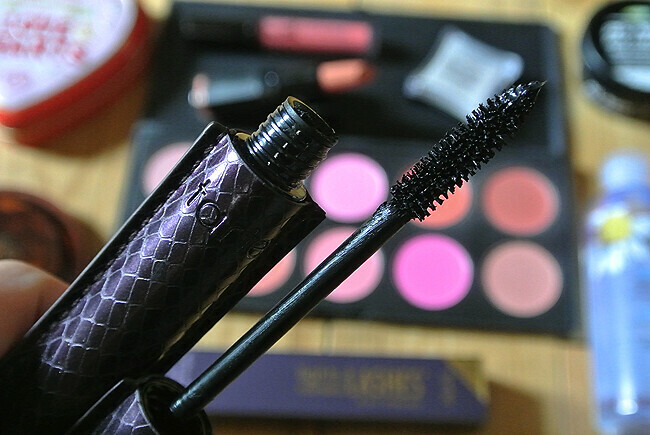 After doing a brand focus post on tarte cosmetics early in the month, i rediscovered the Lights, Camera, Action Mascara. Like i said in the post, It's perfect for volume and giving me thick but natural looking lashes. It's has a really expensive feel too! It's nice to have a mascara packaged in something other than plastic. This Barry M Coral Lipgloss has always been my absolute favourite lipgloss, i think i'm on my 5th one now! With just a slight hint of colour, it keeps your lips looking natural but with a bit of shine. It's quite thick but not sticky and lasts for quite a while. It has a very sweet scent which might not be for everyone but i personally love it! I can't see myself giving up this lip gloss just yet. Although this is a pretty new product to me having just received it at the weekend, I've used it every day since then and i love it. 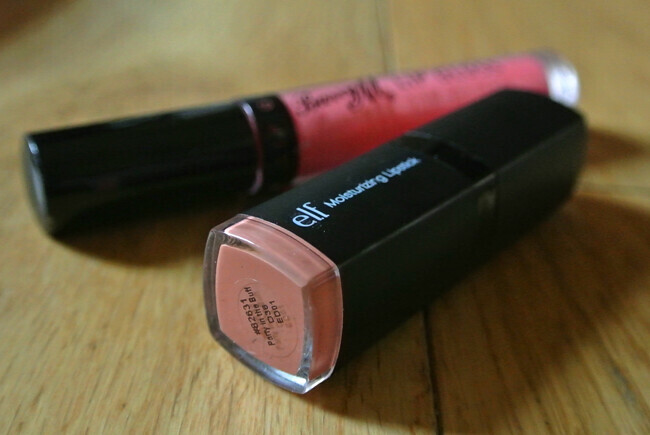 ELF 'Party In The Buff' moisturising lipstick is exactly that, moisursing. It's a neutral shade so it's suitable for every day wear and i find it makes my lips look fuller which is always a bonus. I have quite a few ELF cosmetics in my collection and i highly rate them. Although this has a slight plasticy scent, it is a nice product and works really well with the Barry M lipgloss. 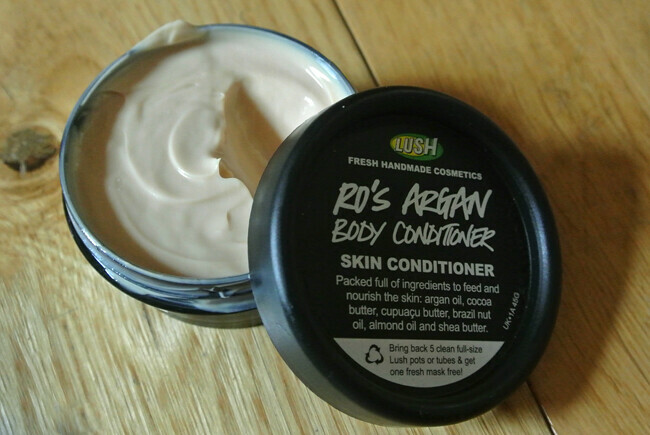 Lush Ro's Argan Body Conditioner has been perfect to use after i get back from my runs. It's full of all that good stuff for your skin too, such as argan, brazil & almond oils and coca and shea butter. Which leaves my skin back to being hydrated and incredibly soft. This is my second pot of this and although the rose scent isn't my favourite, the benefits out way that minor bad point so i'll continue to re purchase. 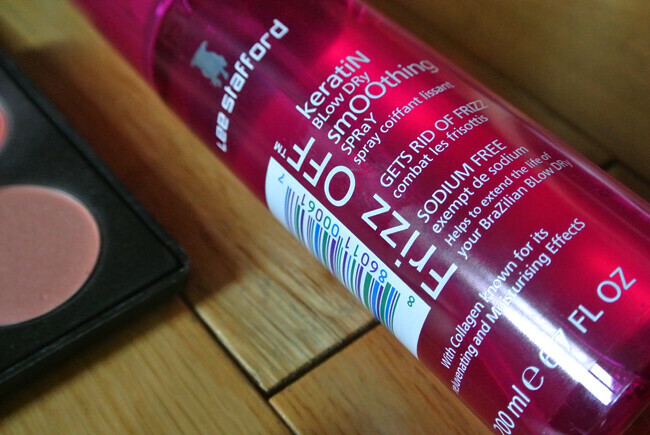 With the humid weather we've been having recently I've been making more of an effort to tame my mane with frizz diffusing products and I've been really like this Keratin Blow Dry Smoothing Spray by Lee Stafford. It's been keeping my natural waves under control and gives a really sleek shine to my locks. 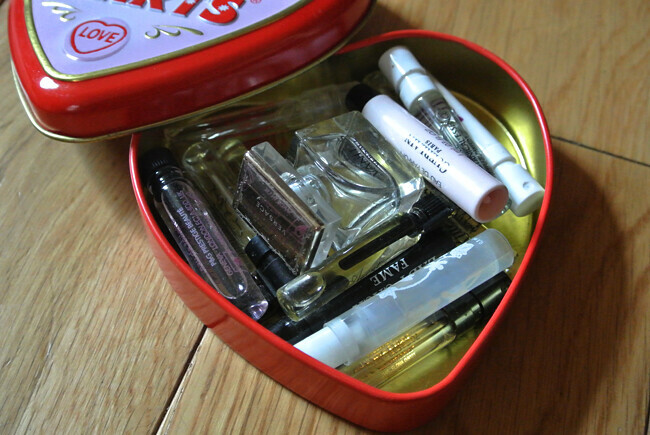 I like to keep all my sample perfumes in this really cute love hearts tin. I tend to stick to the same perfumes every day but this month i wanted to try some others, and so these samples were the perfect way to do this. 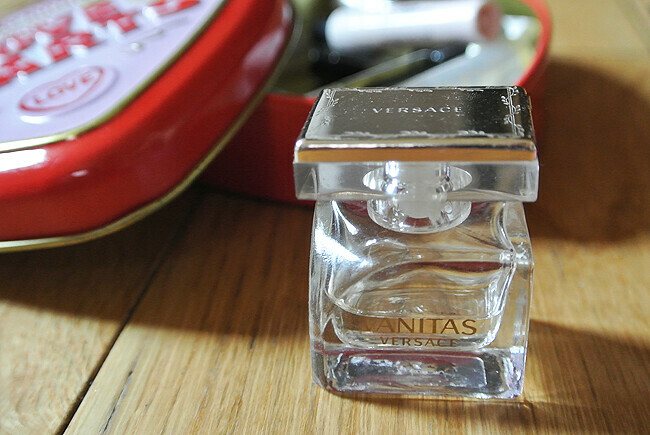 One i really did love (as you can) is the Versace Vanitas. Notes include, tiare flower, black tea, cedar wood and Tonka bean. I now have a full size of this beauty on my wish list! 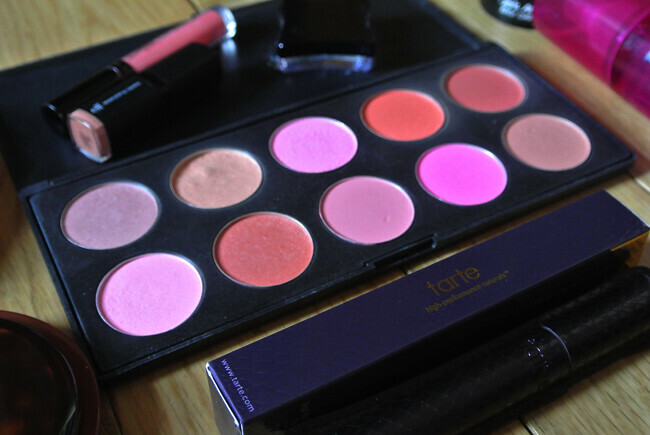 That palette has such stunning colours!